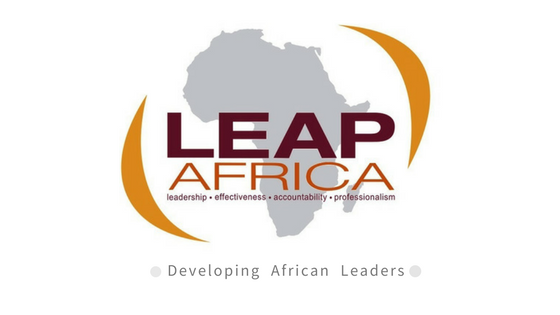 In September 2016, LEAP Africa revamped its youth leadership programme for public secondary school students, to the iLEAD Programme, in line with its mission to empower young African leaders by providing the skills and tools required for personal and community transformation. The YDTP curriculum which was solely designed to enhance the leadership skills of students now encompasses much more under the iLEAD curriculum, featuring interactive sessions on leadership development, life skills development, money management, employability and ethics, all of which are designed to enable students attain their maximum potential, promote youth civic engagement and workplace readiness. With the new design, iLEAD still offered as an in-school programme, it prepares teenagers for sustainable poverty eradication, job creation, wealth generation and value re-orientation. More recently, Nigeria has witnessed an increase in youth interest in non-profit work among youth. However, the majority of these youth lack the requisite skills and support to establish effective and sustainable initiatives; that can help accelerate the transformation of local communities and create means of livelihood for many. In September, LEAP Africa launched the iLEAD Fellowship Programme, sponsored by Ford Foundation in Akwa Ibom State, Nigeria. The Fellowship programme has been designed to provide youth in select public secondary schools in Akwa Ibom State with the leadership, life and employability skills to achieve personal success and transition into higher education or paid employment leveraging a train the trainer approach. The programme also aims at equipping dynamic graduate youth who have demonstrated passion for social development with the knowledge, skills and experience to become change leaders in their communities and key contributors to the development sector. 450 S.S.1 students from 5 public schools and 30 youth in the NYSC scheme will be directly engaged for a period of two years. Starting with an initial cohort in September 2017, the programme commenced with a five-day residential Train the Trainer (ToT) workshop to select Fellows and Guardian Counselors in public secondary schools in Uyo. The programme includes mentoring opportunities with invited panelist operating in the development sector who delivered thought provoking ideas during the ToT. Individuals such as, Mrs. Helen Nwaba, FHI 360, Ms. Emem Dominic, ITF Media Consultant, Inoyo Toro Foundation, Mr. Kingsley Atang, Publicity/Outreach Co-ordinator, Youth Alive Foundation, Mr. Emmanuel Sofa, CEO, SOFER Initiative and Mr. Hanson Johnson, CEO, Start Innovation Hub will go on to support the Fellows journey and deepen their love for education, the development sector and strategies for driving social change. Meanwhile on October 6, 2017 450 students were part of a graduation ceremony to culminate the iLEAD Programme sponsored by Citi Foundation in five public secondary schools in Lagos. The event marked the end of the intervention programme and served as an opportunity to reward the hard work of 15 teachers and 5 volunteers who joined the programme in September 2016. The students and teachers regaled guests with personal stories of transformation having successfully completed the programme and enthusiastic about sustaining the remarkable changes observed. Post project reflections included a boost in self-confidence, increase in their knowledge for social change, practical visioning and goal setting techniques, time management and a commitment to ethical behavior. Through this expansive one year programme, LEAP is enabling and providing young people with the choice of venturing into the corporate world or launching careers as entrepreneurs in providing solutions to some of Africa’s problems. We believe the programme wields a lot of power to potentially influence the way young Nigerians particularly those in disadvantaged communities can be empowered to lead positive change that can transform Africa. Visit www.leapafrica.org to learn more. Am really encouraged by the LEAP AFRICA progress.